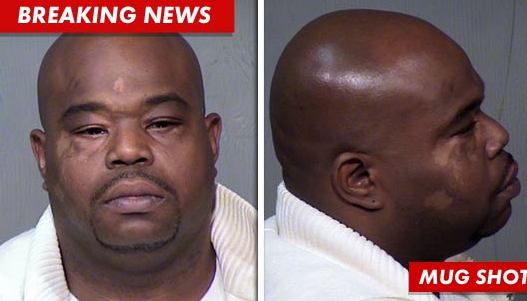 KayKiSpeaks.com: "It kills ya brain cells son, it kills ya brain cells.." Lean on me actor Jermaine Hopkins arrested for..
"It kills ya brain cells son, it kills ya brain cells.." Lean on me actor Jermaine Hopkins arrested for..
Having 200 lbs of weed on him of course. According to TMZ Jermaine was busted after driving across state lines with $100,000 cash in his car and alledgedly buying 200lbs of maryj. TMZ also reports that the police found another 100 lbs in the former actor's home. His reason for getting involved in the deal, "to provide his family with a nice Christmas". He is charged with two felony counts of possessing, transporting, and trying to sell marijuana. His bond is $35,000 & he faces up to 5 yrs. in prison if found guilty. Hopkins is most famous for his role in hit movie Lean on Me as Thomas Sams.